It's LeeAnn here with Joy Clair's second day of the blog hop!!! I hope you have had a chance to visit the talented design teams creations. If you haven't you may want to because there will be THREE winners from the blog hop. Each winner will receive a stamp set of their choice from the new release! All you have to do is leave a comment on each of the blogs throughout the hop (the list is below)! You have until January 22, 2016 at midnight EST. The winners will be announced on Monday, January 25th. This is one of the first Bible verses that I can remember learning back at Grace Missionary Baptist Church in Miami as a young child. And when I saw this amazing set I was so happy that I was assigned to post my project using it. 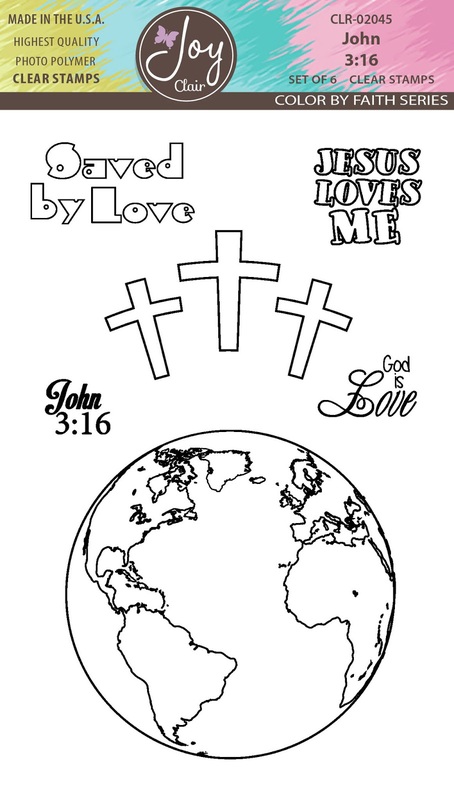 The world is from the John 3:16 set, and the sentiments came from the You and Me Sentiments set, which will be highlighted in just a few days. 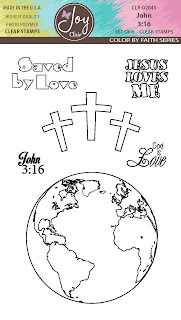 Don't forget we have awesome SVG cut files to go with each of our stamp sets available at The Joy Clair Shop. 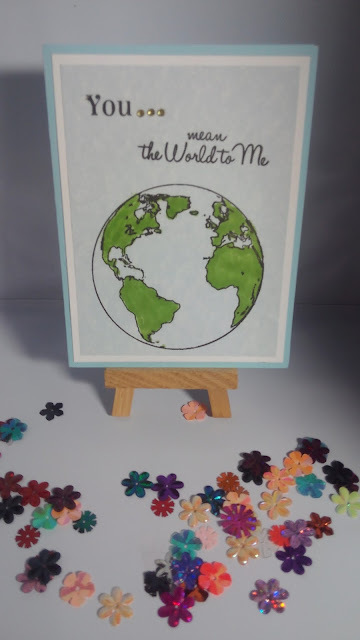 Thank you so much for stopping by, please check out the store to see all the great stamp sets. Follow Joy Clair on facebook , Color by Faith Bible Journaling facebook page, Instagram and Twitter. Please follow Joy Clair to be the first to hear the news, sales and givaways! They also are on Pinterest and Youtube.... come follow along!!! 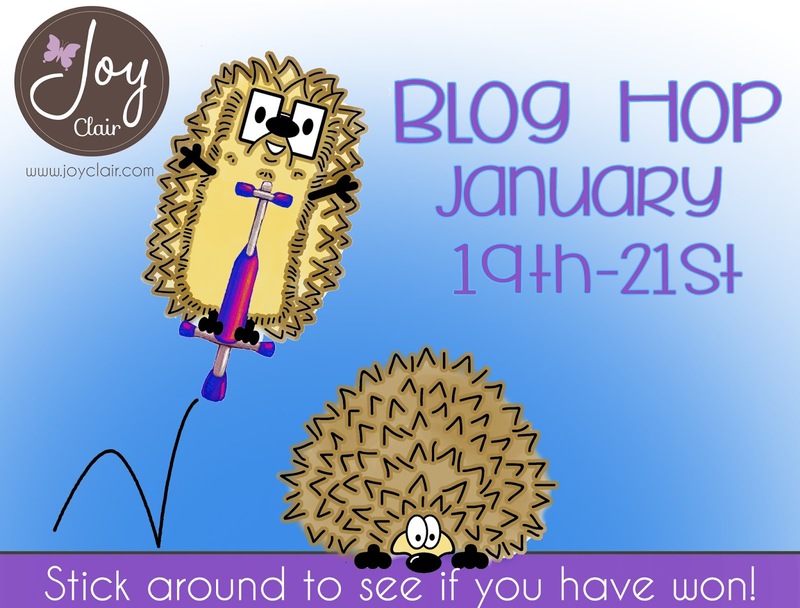 Here is the list to join the blog hop if you have not already joined!! !